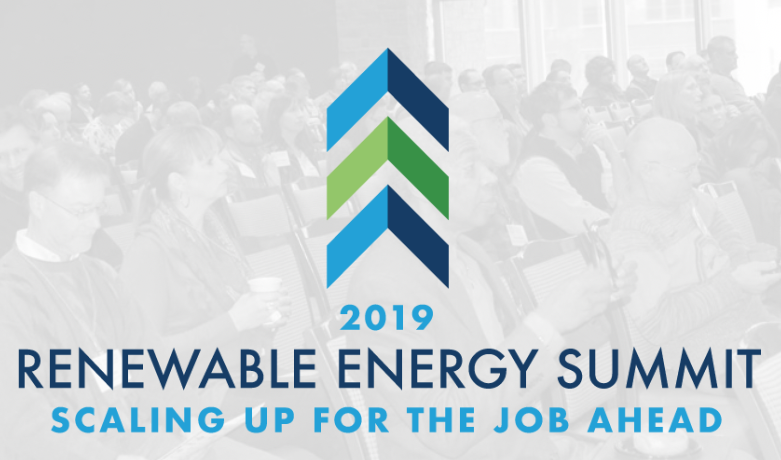 A strong believer in the power of local government, Dane County Executive Joe Parisi has made clean energy a signature component of his economic and environmental policy since his election in 2011. Dane County has for years generated electricity from the County-owned Yahara landfill and from several County-supported biodigesters serving local dairy farms. In response to changing market conditions, County Executive Parisi made the decision two years ago to find other uses for those biogas streams, and to commit County funds to invest in the equipment necessary to make such a transition possible. Last year, Dane County commenced construction on a $25 million facility at Yahara that cleans up the biogas and converts it into compressed natural gas (CNG) to fuel the County’s vehicle fleet. When completed this spring, Dane County’s project will become the first in the nation capable of receiving biogas from multiple off-site locations and injecting the cleaned-up methane into a pipeline network that serves CNG gas stations locally and across the nation. Under Parisi’s leadership, Dane County has increasingly turned to solar energy to supply its own buildings and facilities, and is looking to accelerate that transition. In 2018, Dane County issued a request for proposals to design and build an eight-megawatt solar electric array on a 40-acre parcel on Dane County Regional Airport grounds. Since then it has entered into a partnership with Madison Gas & Electric that will ultimately enable Dane County to purchase the output from that the airport solar project for its own use. For the moment at least, this project is set to become the largest solar array on publicly owned land in Wisconsin. RENEW is proud to bestow a Renewable Energy Champions award to Cheq Bay Renewables, an all-volunteer organization advancing solar energy in the communities near Chequamegon Bay. Led by the husband-and-wife team of Bill Bailey and Gayle Chatwick, Cheq Bay Renewables (CBR) relies on grassroots initiatives to accelerate the spread of solar energy in their part of northern Wisconsin. After organizing a community solar project in 2016 that was fully subscribed in a matter of weeks, CBR targeted individual rooftops for its next initiative. Cheq Bay Renewables Solar Group Buy was launched in late 2017, and last year became the most productive program of its kind in Wisconsin history. The innovative nature of its group buy enabled 85 households in Ashland and Bayfield counties to commit to a solar electric system on their property, totaling more than 550 kilowatts of generating capacity. RENEW is also proud to honor Legacy Solar Co-op, a cooperative association organized in 2014, as a Renewable Energy Champion. Serving a statewide membership, Legacy’s mission is to improve the both the access and the affordability of solar and energy efficiency technologies for its members. A unique Wisconsin entity, Legacy connects investors and community members with facility owners looking to acquire a solar system but lacking the capital to do so. In 2018, Legacy had its best year yet, facilitating 11 solar installations with a combined capacity of more than one megawatt. These systems serve a wide variety of customers, including veterans groups, housing authorities, houses of worship, humane societies, municipalities, farmers, and other mission-based nonprofits. SunVest Solar designed and constructed what is now Wisconsin’s largest rooftop solar electric system. The 1,850 kilowatt array serves Madison College’s Truax campus. OneEnergy and H&H Solar designed and built a 1 MW array in Cashton, the second shared solar project serving Xcel Energy’s Renewable*Connect program. Eagle Point Solar installed 675 kilowatts (kW) of PV generation atop two facilities owned and operated by Sauk County, which now has more PV capacity than any other Wisconsin County. SunVest Solar and Current Electric teamed up to design and install more than 1,700 kilowatts of solar capacity on residential and administrative buildings for both the Forest County Potawatomi Community in Oconto County and the Ho-Chunk Community in Sauk County. Contractors partnered with local nonprofits to launch seven residential group solar purchase programs across Wisconsin. Together these initiatives result in 256 installations totaling nearly 1,651 kW of new solar capacity, a 50% increase over last year’s totals. RENEW’s Solar for Good program provides grants that, in 2018, leveraged the installation of more than one megawatt of solar capacity serving 32 nonprofit-owned sites across the state.